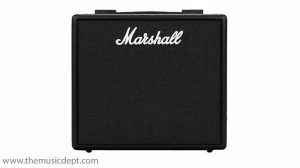 Fully programmable, the Marshall CODE 50 combines authentic modelling of classic and contemporary Marshall tones with professional quality FX. 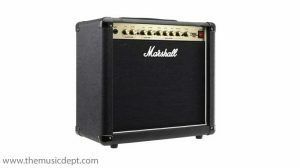 The Marshall CODE 50 preamp, power amp and speaker cabinet models have been developed in collaboration with audio software pioneers Softube to create Marshall-Softube (MST) modelling, highly accurate recreations of classic and contemporary Marshall products and more. 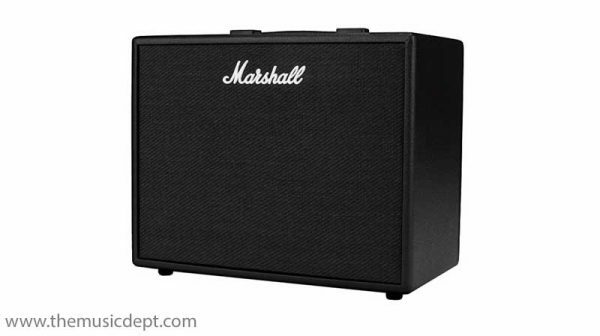 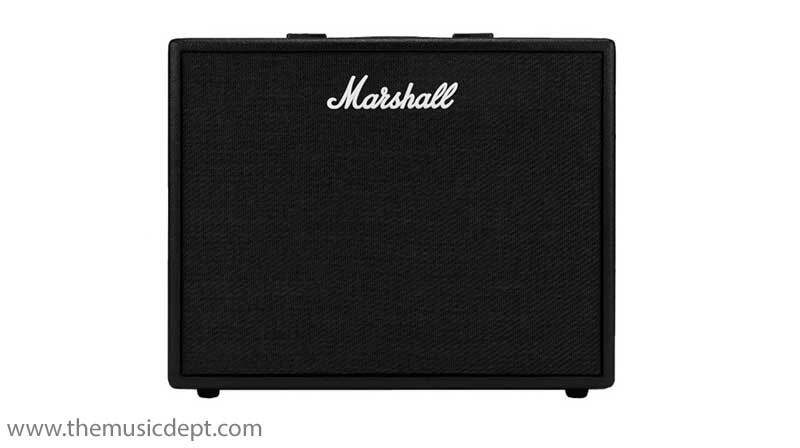 The Marshall CODE 50 has 14 MST preamps, 4 MST power amps and 8 MST speaker cabinets. 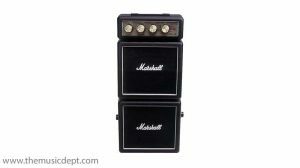 It has 24 FX including: Compressor, classic stompbox Distortions, Auto Wah, Pitch Shifter, Chorus, Phaser, Flanger and Tremolo. 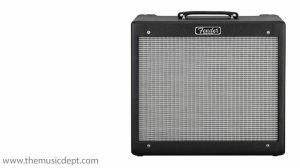 It includes Delays with Tap Tempo, and studio quality Reverbs. CODE’s MST preamps produce some of the most acclaimed and best loved Marshall tones: JTM45 2245, 1962 Bluesbreaker, 1959SLP Plexi, JCM800 2203, JCM2555 Silver Jubilee, JCM2000 DSL100, JVM410H and more. 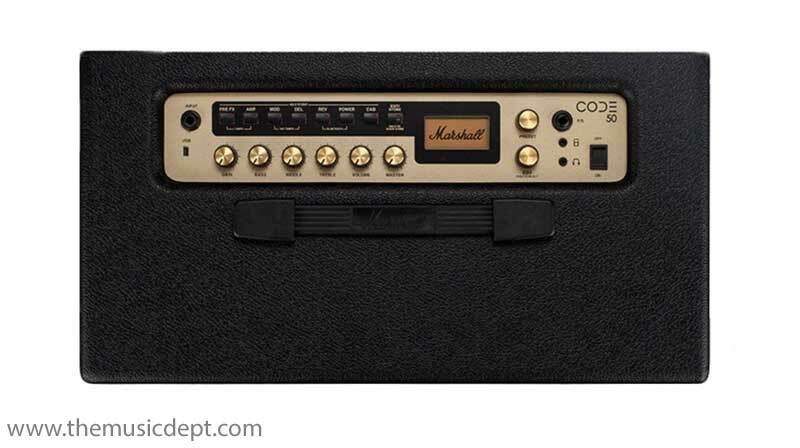 CODE features EL34, 5881, EL84 & 6L6 MST power amp voicings, and MST speaker cabinet models: 1960, 1960V, 1960AX, 1960HW, 1936, 1936V, 1912 & 1974X. 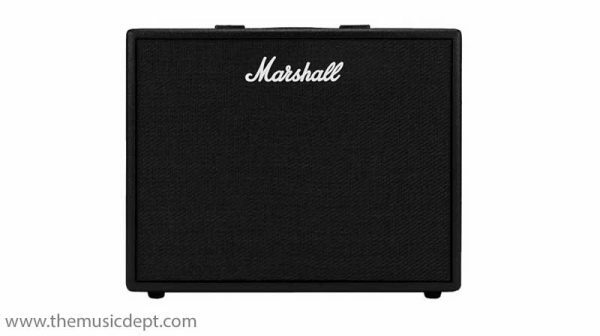 CODE50 is loaded with a custom 12″ speaker. Be the first to review “Marshall CODE 50” Click here to cancel reply.